(Reuters) - The show that Tiger Woods put on last week in his latest comeback from injury was enough to convince a pair of major winners that he may still be able to triumph in golf's blue riband events. 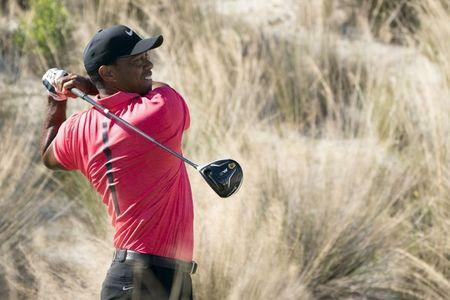 Woods swung freely and with no sign of back pain at the Hero World Challenge, finishing tied for ninth in the 18-man exhibition which featured eight of the world's top 10 golfers. Mark Calcavecchia saw enough to know it would be foolish to write off the former world number one. "His name is Tiger Woods after all. You don't just forget that he has won 14 majors and 79 (PGA Tour) tournaments," the former British Open winner told a conference call to promote the Diamond Resorts Invitational. "I watched most of last week and I was very impressed with a lot of things. He's going at it full speed, he's certainly not holding back trying to protect what we all thought was still going to be a tender back." Following spinal fusion surgery and a lengthy layoff, Woods arrived at the Bahamas event ranked 1,199th but after posting a 31 on his opening nine holes, his odds to win the U.S. Masters in April dropped to 15-1, according to one Las Vegas bookmaker. In August, he had opened at 100-1 odds to win the year's first major. Calcavecchia said Woods, who remains four majors behind Jack Nicklaus's record of 18, would be well served to play in more events than usual to get into a groove. While Woods drove the ball as well as he had in a decade, he was rusty when it came to chipping, but that was no concern for twice U.S. Open winner Lee Janzen. "Tiger Woods has a variable that is unmeasurable that you can never count him out," said Janzen. "He always has in his pocket somewhere the ability to do something dramatic and to pull off the right shot at the right time. "His putting looked really good. But if he regains that touch with chipping I would be surprised if he wasn't in contention in a major." Woods will turn 42 on Dec. 30 and the competition he faces from the game's younger players is deeper than in his prime. But just as Nicklaus came out of nowhere to win the 1986 Masters at the age of 46, Janzen felt the same could be in store for Woods. "That is the biggest question, can he win a major now because he is playing against a bunch of Tiger clones, basically," he said. "All these young guys are playing like he used to play and it isn't just one of them. "So he has to beat the younger version of himself now and there's a handful of them, at least. "But just like Jack Nicklaus, when they tried to write him off he showed everybody that he wasn't done yet."